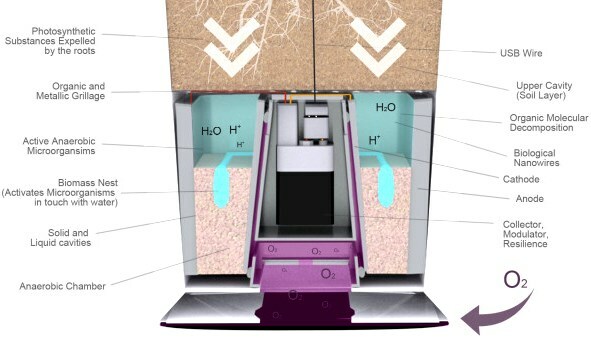 Using a compact and modern technology we are able to produce electricity from the simple, every-day process in which plants rely on to survive, photosynthesis. Bioo provides a day and night constant electricity supply, proving that plants may just be the way out for truly clean renewable energies. With Bioo Lite we plan to redesign the concept of charging your phone or tablet. We want to make it easy to use, as easy as a normal electricity plug you now use from the wall, but instead, adding the clean and awesome look a plant of your choice provides. We have plants everywhere, as decoration in our own homes or our work places. Why not use them for an even better matter. Plug in your devices to charge up in our unique, modern-looking plant pots and forget about your phone or tablet´s battery level. With Bioo Lite we are not only helping the environment by using plants as energy source, but also we intend to help our users by reducing their daily electricity consumption. 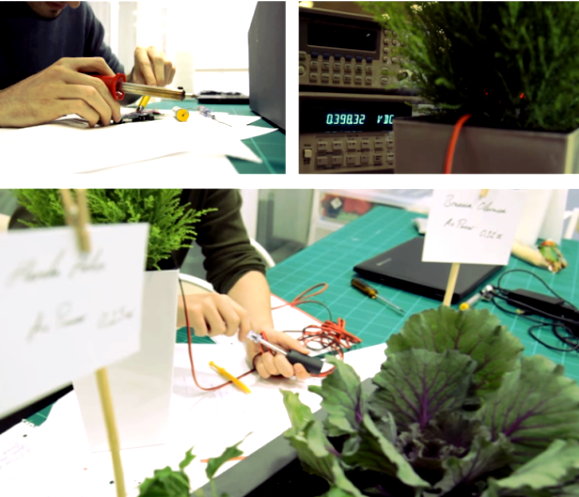 No more electricity plugs, your own plants have got you fully covered with Bioo Lite. Arkyne Techonologies presents this life-changing equipment never seen until now. We have developed and investigated for months this precise technology and we have finally decided to release it for the final stages of our project. Our development has been totally successful and our prototypes are fully functional, proving that 100% green and ecological electricity can be made. We think renewable energies need to finally push through and become the leading power-providing service worldwide. And so, plants are everywhere and would make up to becoming a great electrical station for our everyday needs, without harming nature any more. 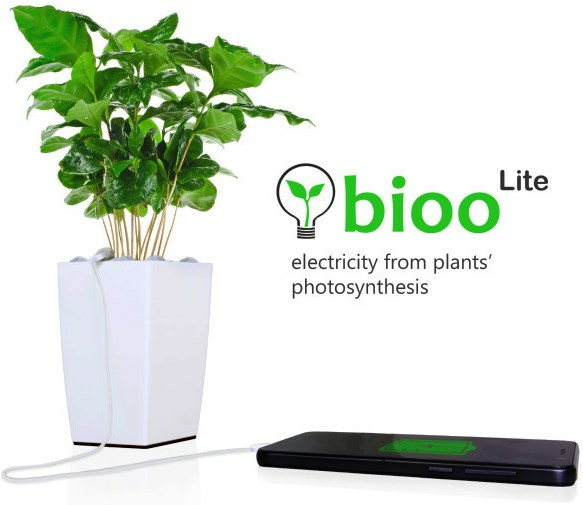 Place your Bioo Lite plant wherever you usually charge your devices, and with its accessible usb socket just simply connect your device and watch it charge from only what the plant is creating from photosynthesis. Magical as it sounds, you will not only have a great looking plant in an outstanding contemporary plant pot, you will also be fully charging your devices from a plant with no extra cost on your electricity bill. Our studies started with intense investigation around all the components and theory involved in our project, and it has all taken us to our successful results nowadays. For our technology we were initially inspired by several studies executed by NASA, but we have decided to choose a specific route to implement our efforts in, renewable energies. The magic happens inside the plant pot, where energy created by the plant´s biological elements expelled after photosynthesis is transferred for our use in form of electricity. This matter is produced with or without Bioo, it is simply part of the essential process of photosynthesis in which every plant has to take part to live. This way, we are not forcing the plant to do or create anything else rather than what it always makes. It does not harm the plant in any way, either the technology or the process applied, and so environment is also a great winner from the implementation of this revolutionary technology. Furthermore, our system is self-regenerating.